While some workers may not think that they may become disabled and unable to work, many do. The Council for Disability Awareness reports that 25 percent of people in their 20’s will become disabled at some point during their careers, and the average disability-related absence from work is nearly three years. Some people have short-term disability insurance provided to them by their employers as optional benefits, and they might not understand the difference between that coverage and long-term disability coverage. Short-term disability coverage lasts for a short duration, normally no longer than three to six months. By contrast, long-term disability coverage picks up when short-term disability coverage ends and may continue indefinitely until the worker receiving the benefits is able to return to work. It is important to understand the coverage and the available options since some benefits must be chosen when getting a new policy. There are several options available with long-term disability coverage, and everyone should be aware of these choices so that they ensure they get the most robust protections possible. Here are some of the common policy options one should consider. It is important that the coverage that a person chooses is non-cancelable. Non-cancelable policies may not be terminated by the insurance company. The premiums must also remain the same as when the coverage was purchased as long as the insured continues making the monthly payments. The other terms of the policy will also remain the same as when it was purchased. If people purchase long-term disability coverage when they are young, their premium payments will stay at the same low level when they grow older with non-cancelable policies. When people purchase long-term disability coverage, they should purchase enough coverage to replace between 60 and 70 percent of their current salaries. This percentage is sufficient to provide approximately the same amount of money each month as a worker’s take-home pay from their jobs because long-term disability benefits are not taxed. The own occupation option is important for people to consider purchasing. 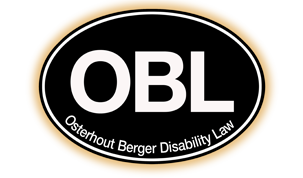 When a person becomes disabled, own-occupation coverage will continue paying them disability benefits as long as they are unable to return to the same occupation at which they worked before the disabling condition occurred. This option allows people to continue receiving disability benefits payments even if they are able to return to work in a different occupation but are unable to perform the duties of their previous jobs. By contrast, any occupation coverage means that the benefits will be terminated if the insured is able to return to any type of job even if it is not similar to the type of work that the person had before. People should take care to read the descriptions of their occupations in their policies to make certain that they closely match the required duties of their current jobs. Some cheaper policies have benefit periods lasting as little as two years. People should avoid long-term disability coverage carrying such short benefits periods. The average disability will last longer than two years, meaning that a person who opts for the short benefit duration may run out of disability benefits while they are still unable to work. The best coverage option allows people to receive benefits until they turn 67. At a minimum, people should try to choose policies that have a minimum benefit period of five years. Policies that have longer elimination periods, which are the times from the date of disability to when people receive their first checks, are cheaper, but they may not be the best choice. Available elimination periods may be 30 days, 60 days, 90 days, 180 days or 365 days. While the premium payments will be higher for shorter elimination periods, most people will find that coverage with a 90-day elimination period is the most cost-effective. It is a good idea for people to review their finances in order to determine what elimination period length they would be able to handle in the event that they suddenly became disabled. If people also have short-term disability coverage, they may choose an elimination period for their long-term coverage that will pick up when their short-term coverage ends. People may also use savings to cover longer elimination periods, but they should be aware that they may have medical expenses associated with their disabilities during the interim. Residual disability benefits are another important option because they provide some benefits during periods of time when people are able to work some of their normal schedules but not return to full-time work at their jobs. Many more people suffer partial disabilities than total disabilities, and residual disability benefits may help them to make up the difference between their drops in income and their former incomes while their partial disabilities continue. When people are choosing residual disability benefits as an option for their coverage, they should avoid selecting residual benefits that are only paid after the insured first qualifies for a period of total disability coverage, however. Even if you have long term disability coverage, your claim may be denied once you attempt to use those benefits. There are several common reasons why this can happen. One of the most common reasons for denials is a lack of adequate medical documentation. It is important to have records of all appointments for your condition. If you suffer from psychological conditions, you should see your psychiatrist or psychologist at least monthly. If you are inflicted with a physical impairment, you should see your doctor regularly and have objective tests to support the diagnoses. You also need to ensure that the insurance company requests the correct records and ask your doctors to submit statements in which they give their medical opinions about how the conditions limit your ability to perform your job functions. Other common reasons for denial may occur when companies conduct surveillance that they purport uncovers evidence that is inconsistent with the your claimed limitations. They may also deny claims if you miss certain deadlines. When a long-term disability claim is denied, you should schedule a consultation with one of our experienced long-term disability attorneys for help through this process. If you find yourself facing a denied long term disability claim, we’re here to help.